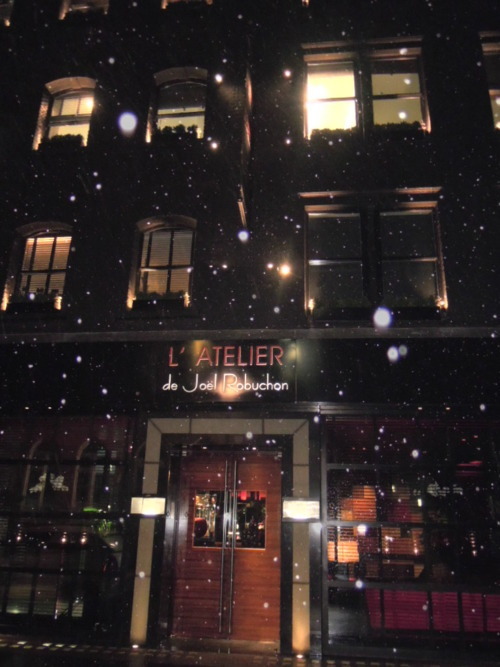 Amongst the various L’Atelier de Joel Robuchon restaurants I have visited, I like the Parisian ones the best, followed by the ones in Macau (see my review here) and in London. Joël Robuchon has opened 12 restaurants around the world, in Hong Kong, Las Vegas, London, Macau, Monaco, New York, Paris, Taipei,and Tokyo, and has attained a total of 26 Michelin stars – the most of any chef in the world. Like some of its other branches, this restaurant houses its usual black-and-red theme, sleek counter tops and iconic open kitchens. 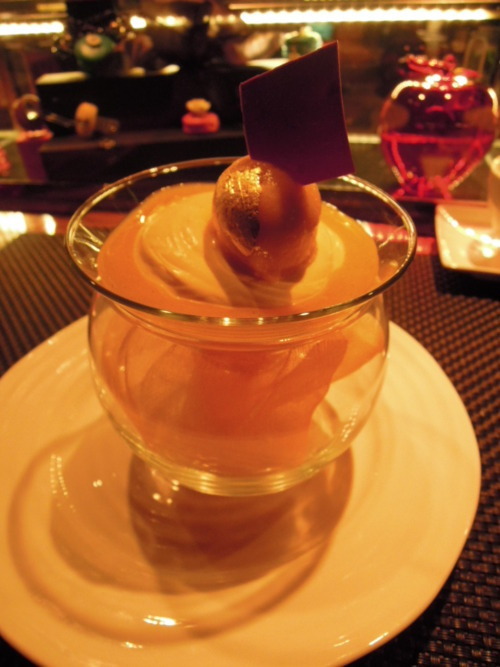 The food at L’Atelier de Joel Robuchon was reliably excellent, the service was hardworking and gracious, and the ambience was effortlessly chic. There are lunch and pre-theatre menus at £32 for 3 courses, which offers excellent value for this Michelin two-starred restaurant! 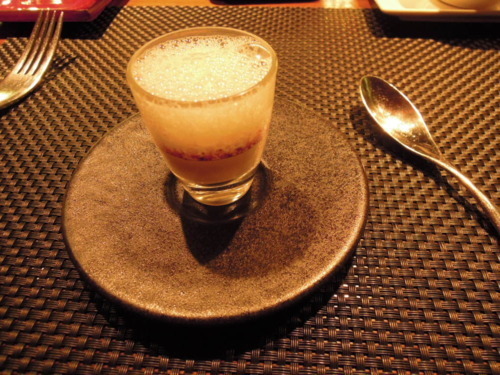 (1) I had a small portion of truffle foam for my amuse-bouche. French restaurants these days seem to have an obsession with foam, and this was quite similar to the amuse-bouche I had at Pétrus. 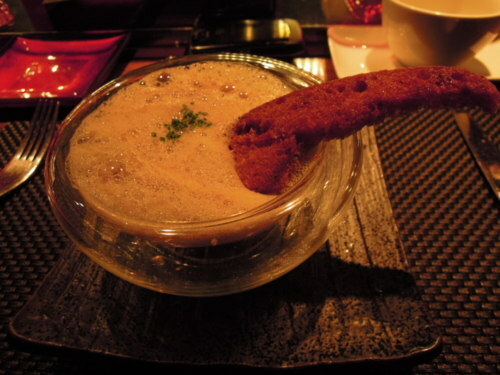 (2) I loved the unbelievably delicious appetiser, the Egg cocotte topped with light wild mushrooms cream – it was beautifully presented and simply expertly concocted! (3) Then, I moved on to this majestic-looking Braised pork belly. Admittedly, I have tried better pork belly at other restaurants, such as Hibiscus and the Ledbury, but this was still delicious. 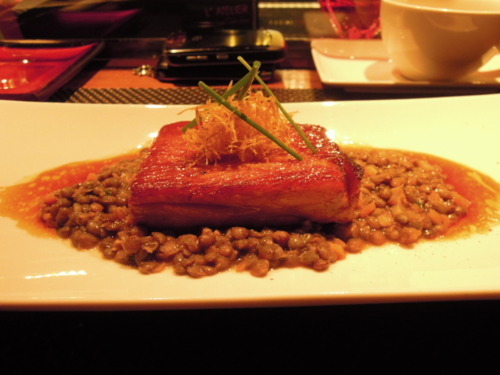 I really enjoyed eating the Puy green lentils which managed to soak up all the rich flavours of the braised pork belly! (5) Still reminiscing about the mashed potato, I reluctantly went on to my dessert. 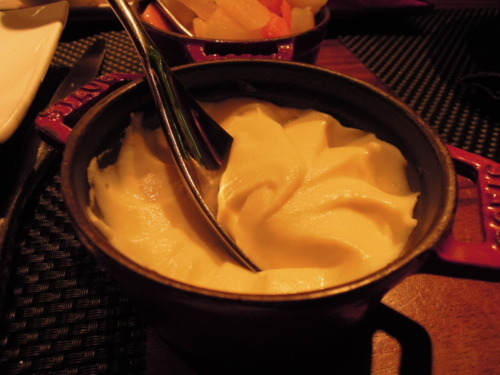 I had a Coulis and mousse of mango, which was basically a ball of sweet, juicy mango placed on top of some fluffy mango mousse and fruity sorbet, with a layer of Joconde biscuit at the bottom. What a beautiful experience – I will surely be back!